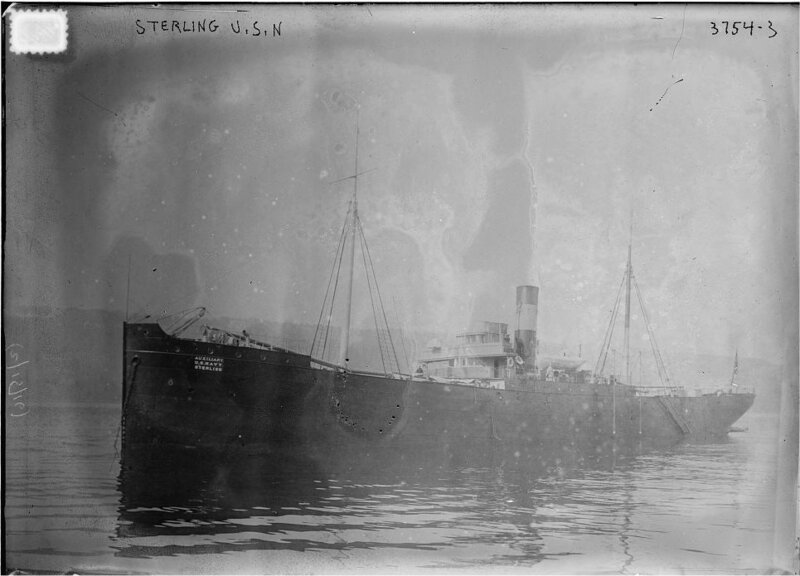 Decommissioned, 7 July 1919, at Philadelphia, PA.
67k USS Sterling moored, probably at Boston, circa, 1898 to early 1899. Her original owner's smokestack markings are still visible under the probable overall coat of gray paint. 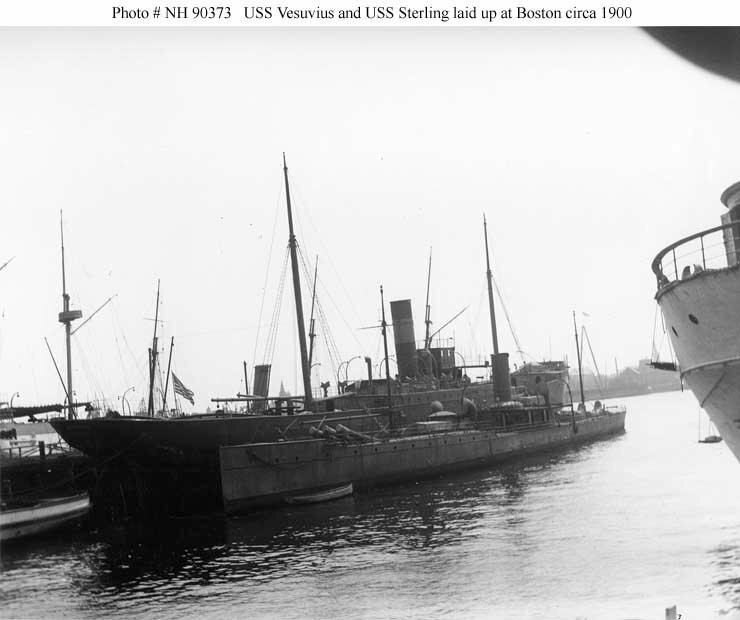 55k USS Sterling moored inboard, the USS Vesuvius while laid up at Boston Navy Yard circa 1900. 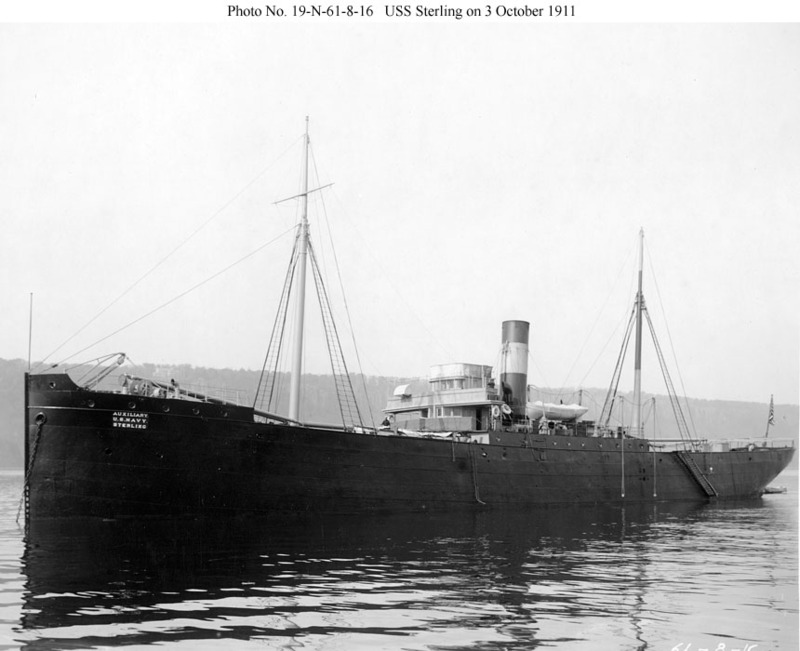 The stern of USS Prairie is partially visible at the extreme right. 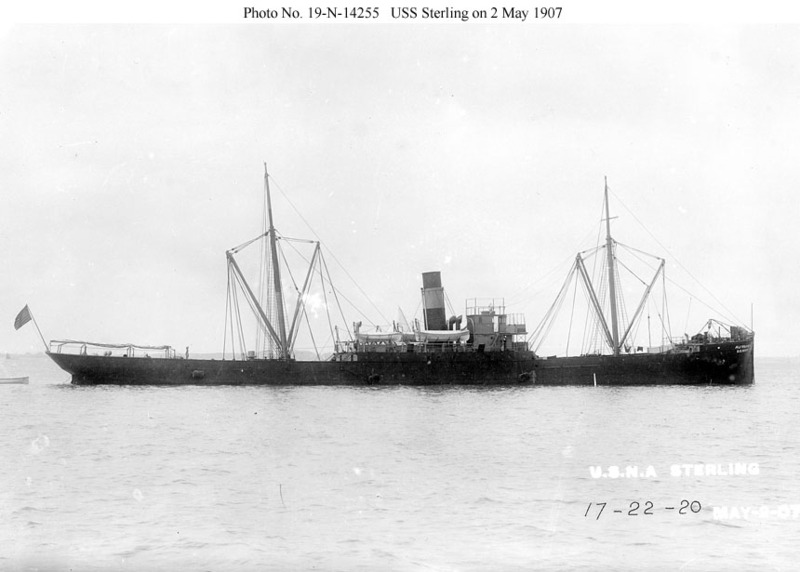 90k USS Sterling in Hampton Roads, Virginia, 2 May 1907, during the Jamestown Exposition International Naval Review. 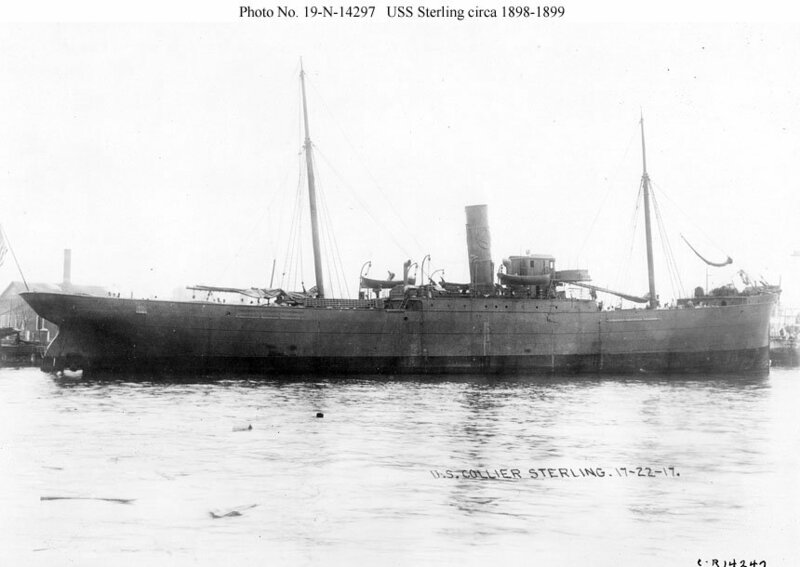 106k US Collier Sterling at anchor in the Hudson River, 3 October 1911, near the New York Navy Yard during that year's Presidential Naval Review.